Ironman series #6. 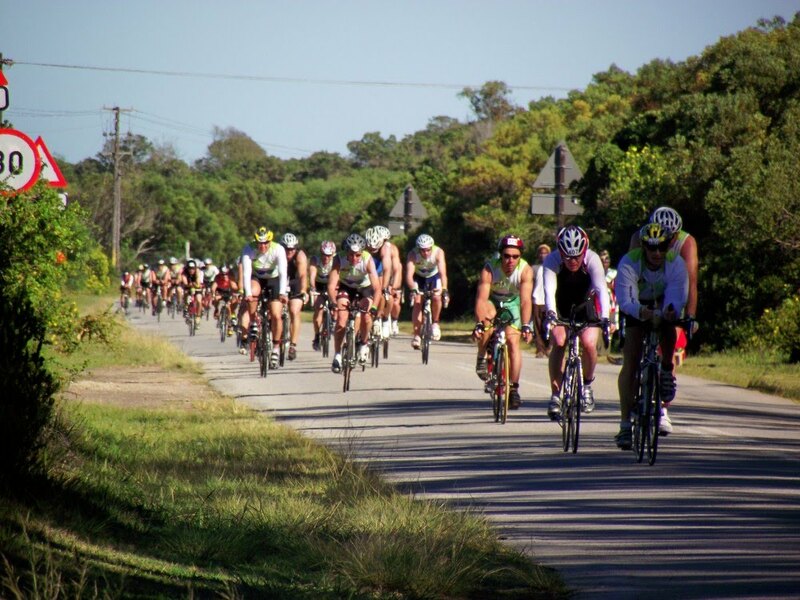 The cycling leg of 180km was done by covering a circular route of 60km throughout Port Elizabeth and surrounds. Part of it travels down Marine Drive along the coastline with some beautiful views of the ocean. I took this pic down Sardinia Bay Road as this is as far as I was able to get. Ironman series #5: After the competitors exit the water for the second time, they leave the beach and move onto the Hobie Beach parking lot where the transition area was situated. 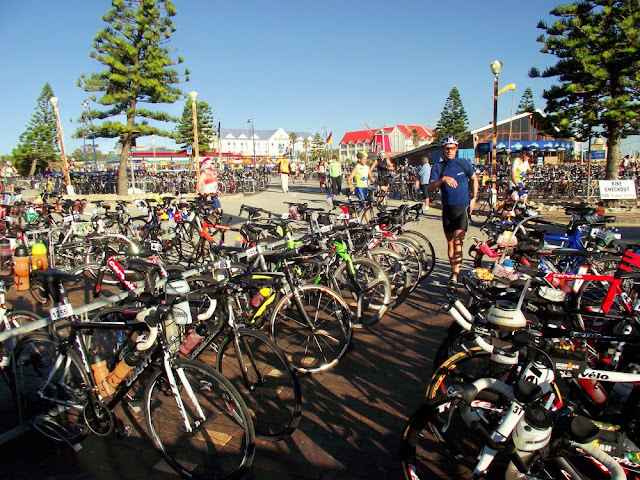 Here the 1800 competitors collected their bikes for the 180km cycling leg. Seeing all the bikes lined up was quite a site and as I had media accreditation I thought I may be able to get in there for a couple of shots. Unfortunately I wasn't able to so I took this pic through the fence surrounding the area. Probably the best spot to see the start of Ironman from is on Shark Rock Pier. This year I decided to be on the beach to get some close-up shots of the competitors starting their swim, but next year I definitively would like to get the start from up here. I decided to take a walk onto the pier to get a shot anyway. 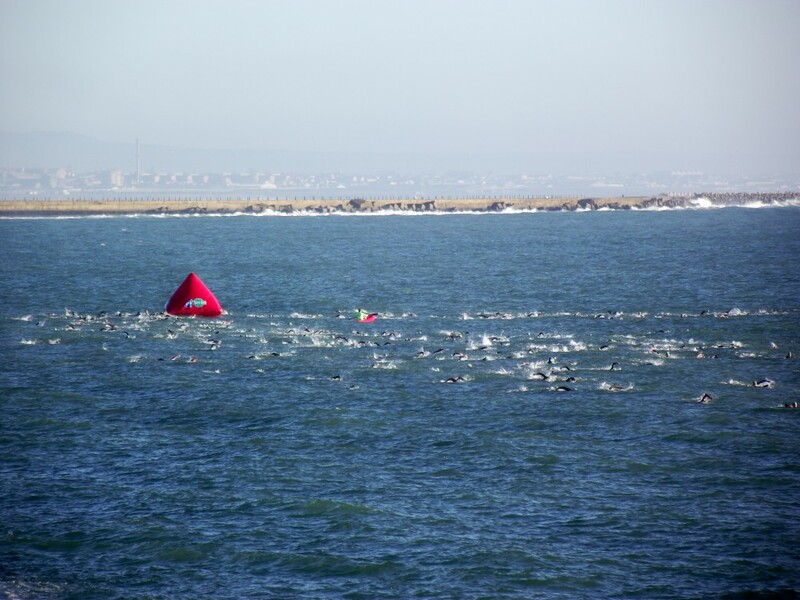 At this stage most of the swimmers were on their second lap of the coarse while the leaders were exiting the water. Ironman series #3: This is the furthest turning point in Algoa Bay on the Ironman swim. They swim a total of 3,8km which is made up of two legs of 1,7km each. After the first leg they run out onto the beach before turning back into the surf. I can imagine at this point one's arms must feel like they are about to fall off. I was told that unless you are amongst the leaders, the choppy sea is the least of your worries. All the swimmers around you churns the water up even more and there is a lot of accidental bumping and kicking going on. Ironman series #2: The swimmers in Ironman South Africa setting off from Hobie Beach and heading for the first turning point. 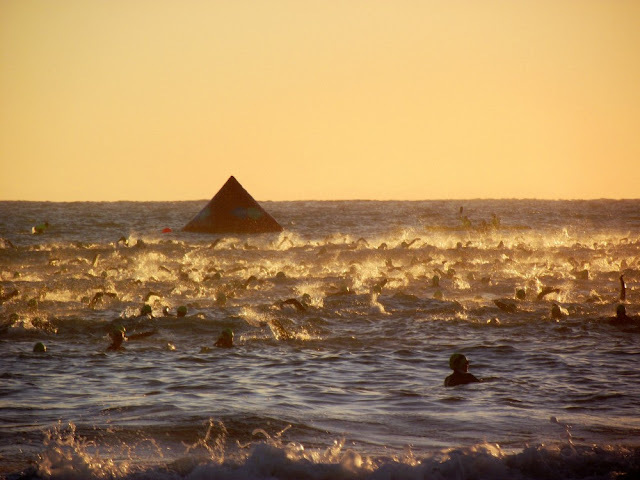 Ironman series #1: Today the 6th annual Ironman South Africa took place (in actual fact is still taking place as I post this) here in Port Elizabeth. 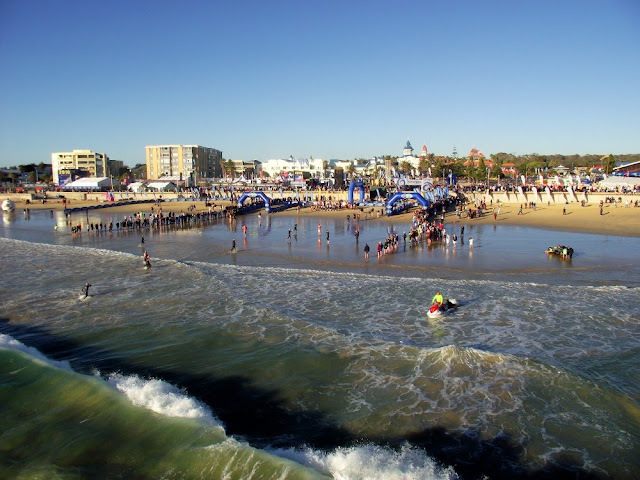 Port Elizabeth hosts the only Ironman competition on the African continent. An Ironman race is a long-distance triathlon consisting of a 3.86 km (2.4-mile) swim, a 180.25 km (112-mile) individual bike time trail and a 42.195 km marathon (26 miles 385 yards ) run, raced in that order and without a break. 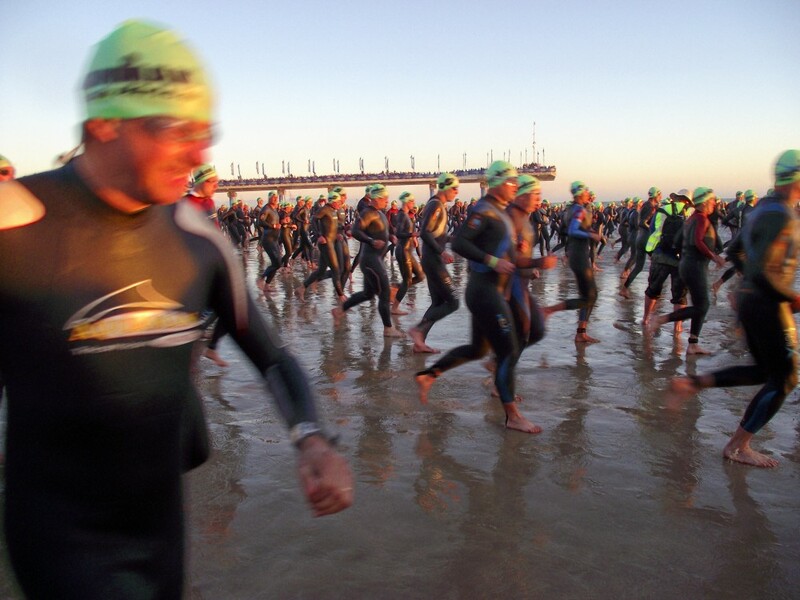 Ironman South Africa has a time limit of 17 hours to complete the race which means the some of the competitors will be competing from the start at 7 AM until the race cut off at midnight. I love exploring old grave yards, but new cemeteries freak me out a bit doesn't quite interest me that much. The Forest Hill Cemetery between Forest Hill, Humewood and Summerstrand is one of the "active" cemeteries in town. When I say active I don't mean there are lots of night'un'life and haunting going on, I mean its where people are currently being buried. 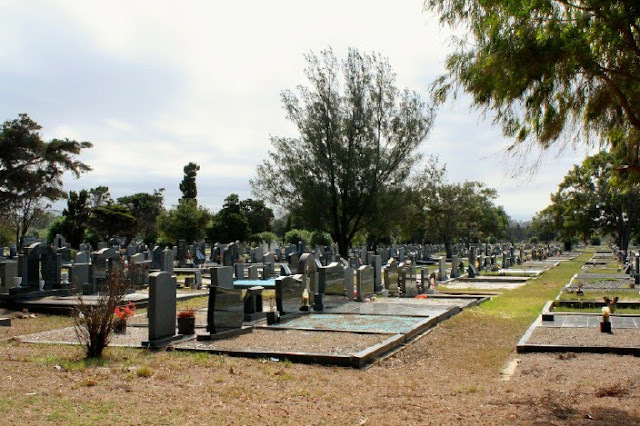 Forest Hill Cemetery is quite a big cemetery with some of the graves dating back a few years, but not much go back to far into Port Elizabeth's earlier history. A week or so ago I posted a couple of game reserve lodge photos. I found this one which I still wanted to post when I posted those. 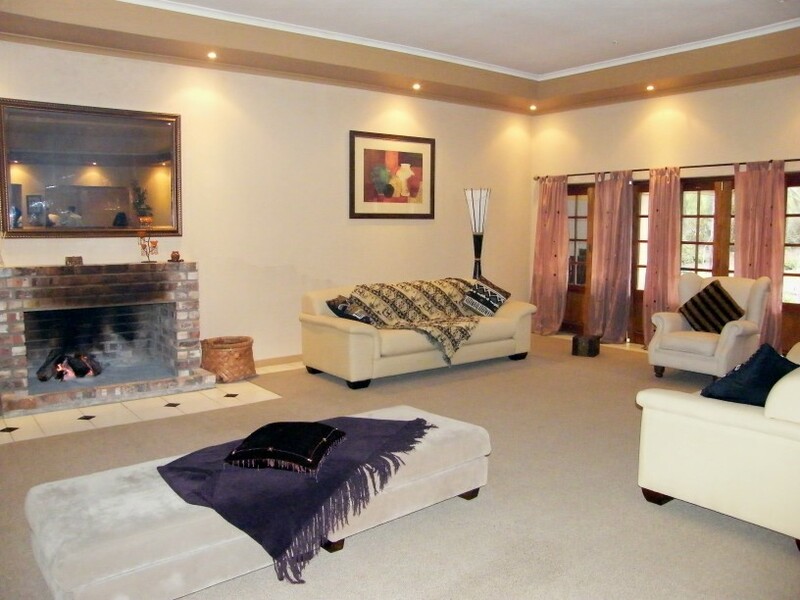 This is the lounge area in the hotel on Kwantu Game Reserve outside Port Elizabeth. The hotel is laid out with spacious public areas which aren't overly decorated with unnecessary things. The reserve is also very unique in that it belongs to a Muslim family and thus don't allow any alcohol. 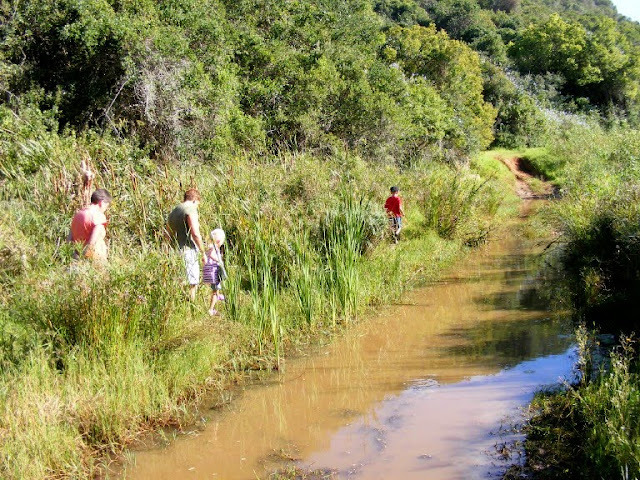 All of these factors mean that the lodge and game reserve is very family friendly. 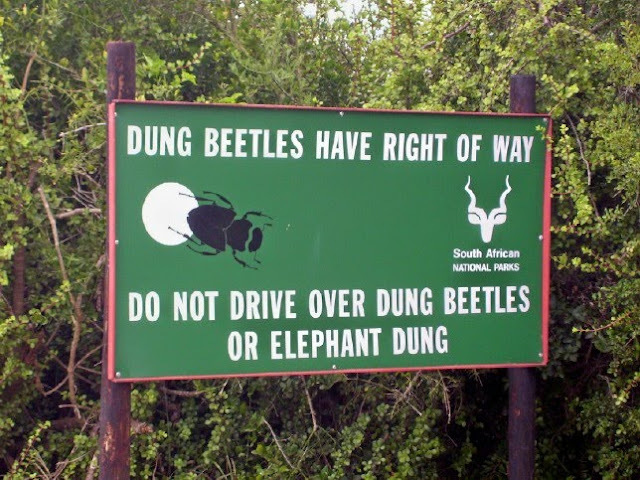 Addo Elephant National Park is home to the Flightless Dung Beetle. This specific species are a protected species and are only found in Addo and surrounding game reserves. The make use of elephant dung to make their dung balls in which they lay their eggs. Due to the elephants being shot out in the early part of the 1900's, the number of dung beetles also took a drastic dip. Today the numbers are slowly increasing and there is even a guest lodge close to the part that has a breeding project for the flightless dung beetle. Visitors to the park are asked not to drive over the elephant dung as there my be dung beetles "working" in it. 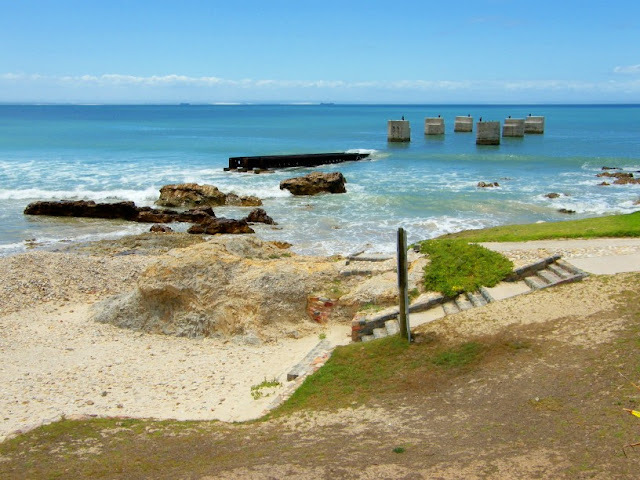 Before the Port Elizabeth Harbour was built in the 1930's, boats in need of repaired were serviced at the Humewood Slipway. The boat would sail in between the pillars and then got pulled onto the slipway using a steam pulley. Today the slipway is a very popular snorkeling site and are used by scuba diving schools for their students' first shore dive. Humewood Beach right next door is the oldest Blue Flag beach in South Africa and currently one of three in Port Elizabeth. This is very much a test post for a test image. My camera broke a couple of weeks ago and I bought a similar camera for about the same price as what the repairs would have been. There are one or two differences to it though, but the biggest new thing on it is a panorama setting. I stopped at Fort Frederick to try it out on the view from the fort and this is what came out. I didn't have my tripod which would have helped a bit, but otherwise I'm looking forward to try it on a couple of other views as well. 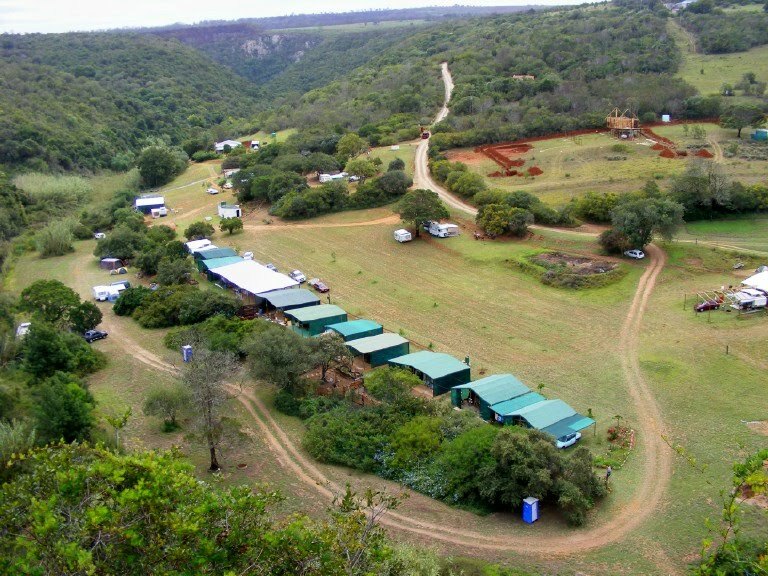 I love camping at Sleepy Hollow just outside of Port Elizabeth. Its only 15 minutes from the city, yet its out in nature with a bit of indigenous forest growing along the Maitland River flowing through the valley in which Sleepy Hollow is situated. I have quite a lot of pics from Sleepy Hollow which I will post from time to time. Following the trail up the river one gets away from it all. Along the walk you cross the river a couple of times. This is the first drift as one leaves the camp site. 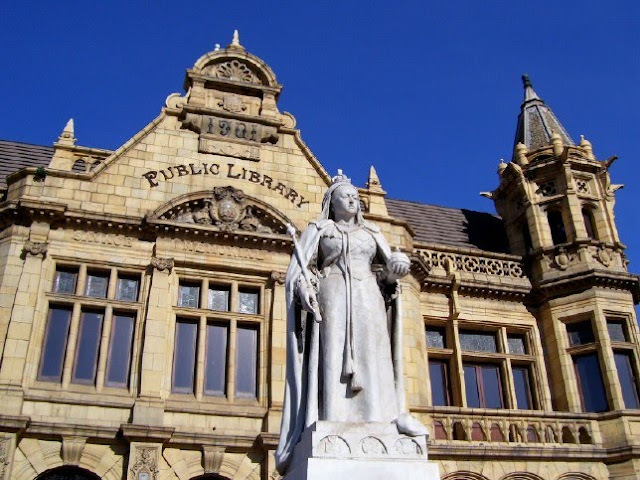 Most of the tour operators doing township tours in Port Elizabeth support a school or other worthwhile project by visiting them on the tour and contributing to them financially. 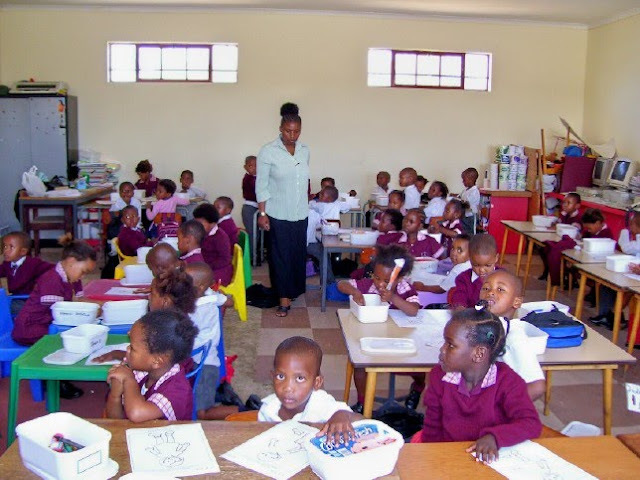 One of the schools visited by probably the biggest township tour operator in the city, Calabash Tours, is the New Brighton Primary School. On the visit to the school the visitors get taken through some of the classes to see the kids work before having tea and being told how they could support the school as well. Through visits like this quite a few tourists has committed themselves to sponsoring a child's education or by sending much needed goods to the different projects run by the Calabash Trust. 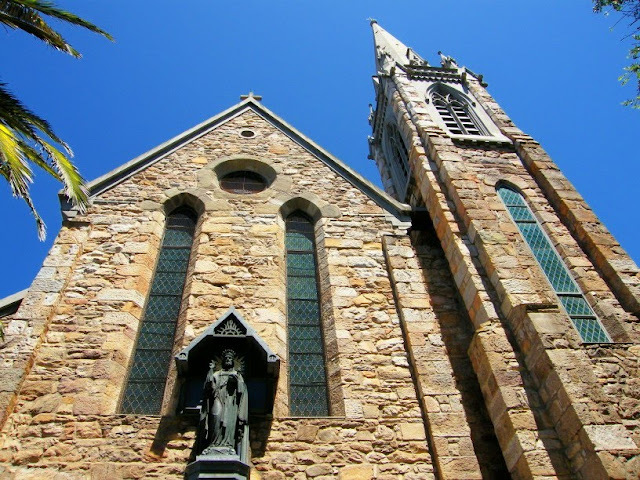 St Augustine's Catholic Cathedral at the bottom of Whites Road in the town centre was built from 1861 and consecrated in 1866. The bronze statue of Christ was donated to the church in 1931. 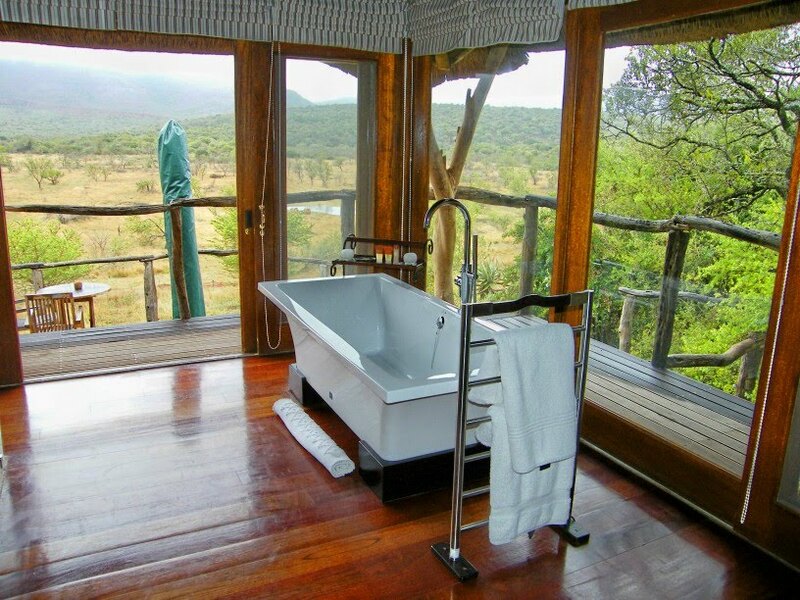 Following on yesterday's post of the game lodge bedroom, I thought I'll show you what a bathroom in the lodge looks like. Talk about a batchroom with a view. Just make sure you don't have a peeping tom monkey or giraffe peeking in the window. Port Elizabeth is situated in Big 5 country and is surrounded by luxurious game reserves. 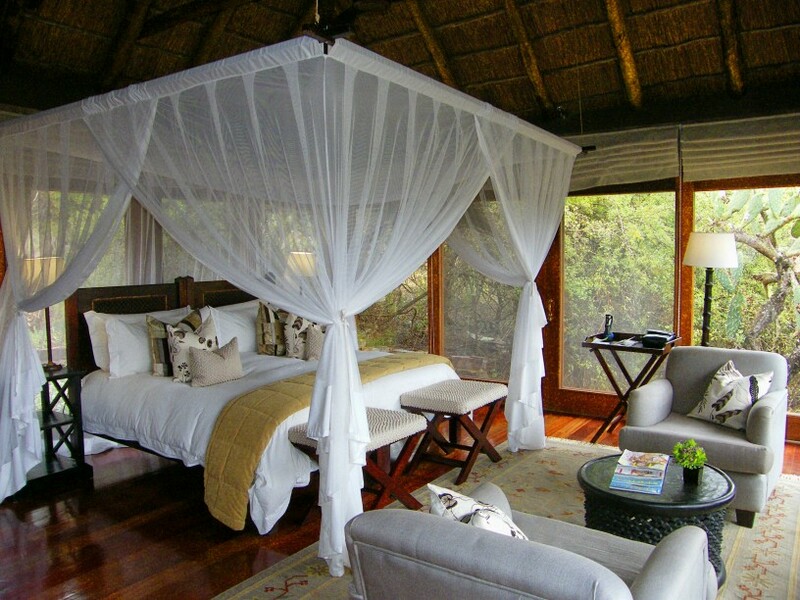 Most of these game reserves offer guests 5 star facilities with each lodge being different from the next one. This is the bedroom at one of the lodges at Pumba Game Reserve. The room opens up on the bush surrounding the lodge and a private plunge pool. Just check out the door before exiting to make sure there isn't an elephant drinking from your pool. 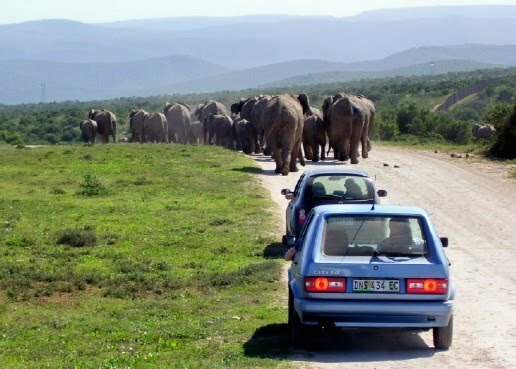 Its nothing strange to visit Addo Elephant National Park just outside Port Elizabeth and get stuck in a traffic jam caused by elephants walking across or down the road. Following behind them (at a safe distance) actually makes you feel like part of the herd. The other day I had to go and meet somebody at the Algoa Bay Yacht Club which gave me an excuse to take a walk down the walkway between the moorings. 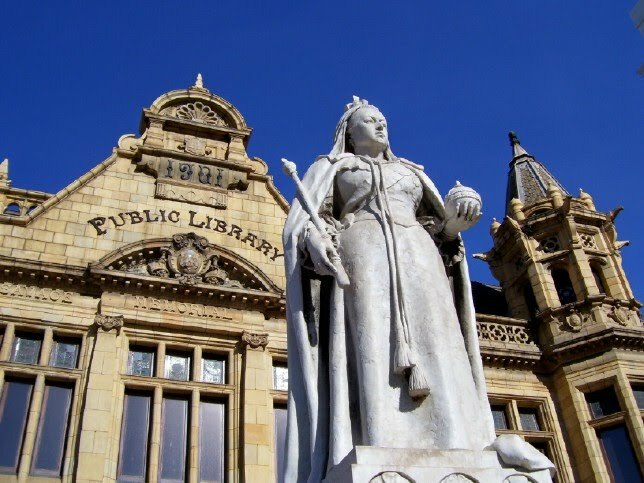 This gave me the opportunity to get a couple of pics around the area which I will post from time to time. 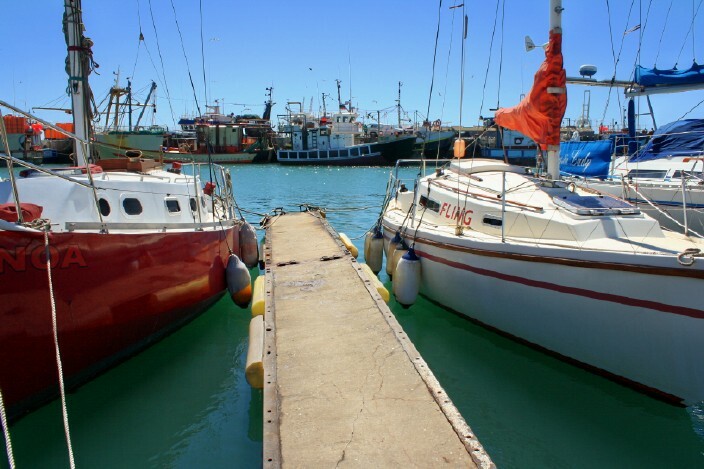 This is a view between the yachts towards some of the fishing boats that use the Port Elizabeth harbour. Bayworld series #10: Today is the last of my series of pics from the Bayworld complex on the Port Elizabeth beachfront. 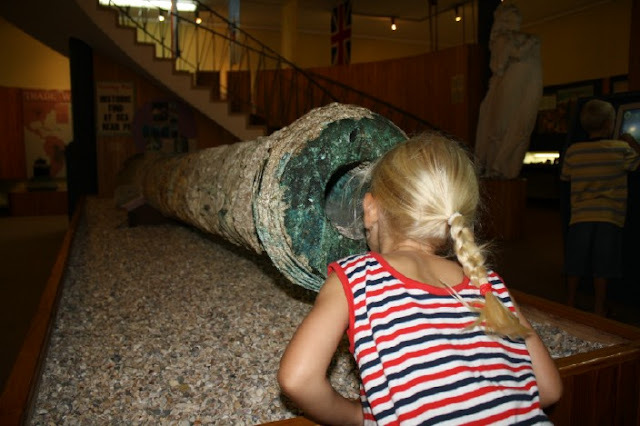 It shows Drama Princess looking down the barrel of one of the bronze cannons that was retrieved from the wreck of the Sacramento near Schoenmakerskop. The Sacramento exhibit can be seen in the Shipwreck Hall. 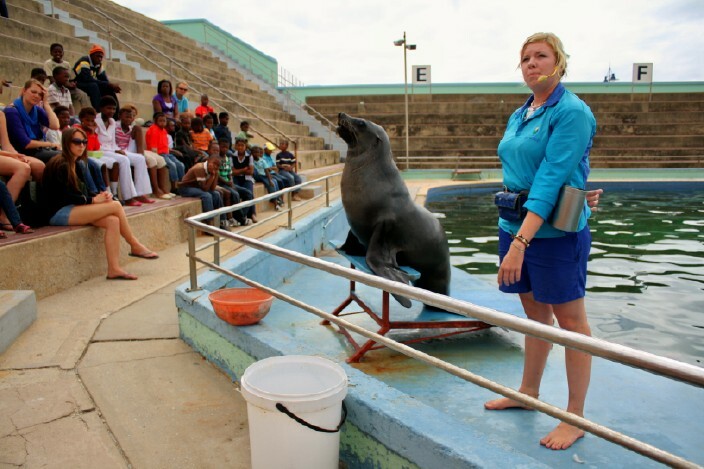 Bayworld series #9: Bayworld currently has a temporary exhibition called Africa's Lost World. 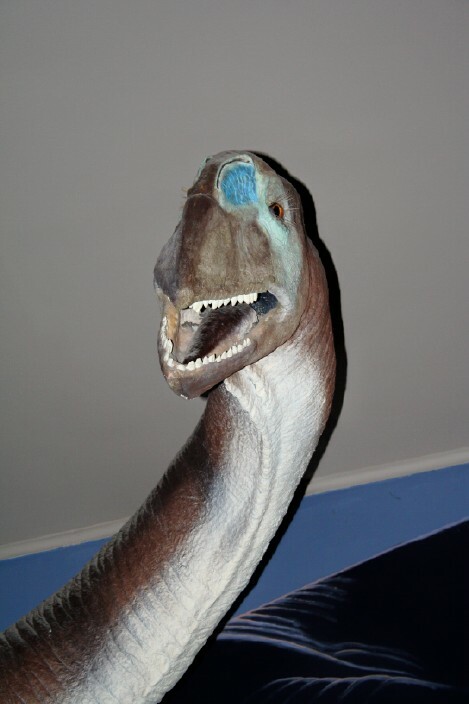 It features a number of mechanical dinosaurs that move and make dino noises. 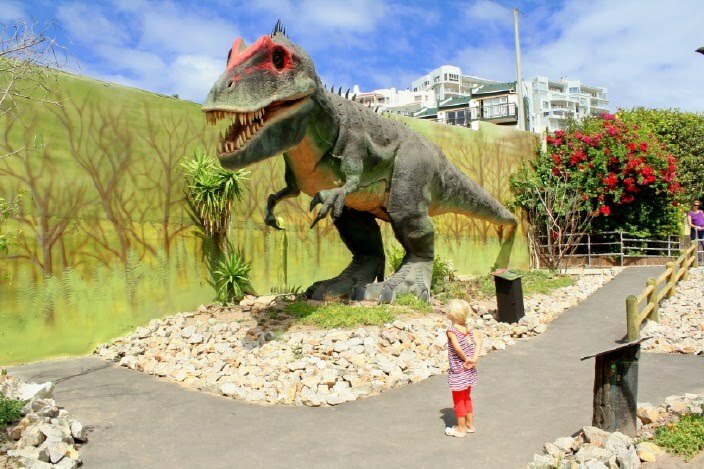 Here Drama Princess is admiring the huge T Rex as its growling at her. Bayworld series #8. One of the fairly new activities that take place at the Oceanarium is the Penguin Walk. 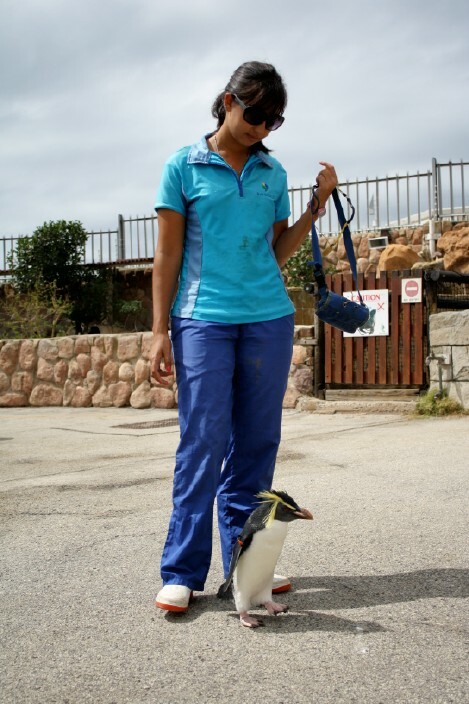 It happens after the feeding session when some of the penguins are taken for a walk by the staff. Visitors are asked to stay on the grass and not get too close to the birds, but it does give one the opportunity to see them from a bit closer than in the enclosure. 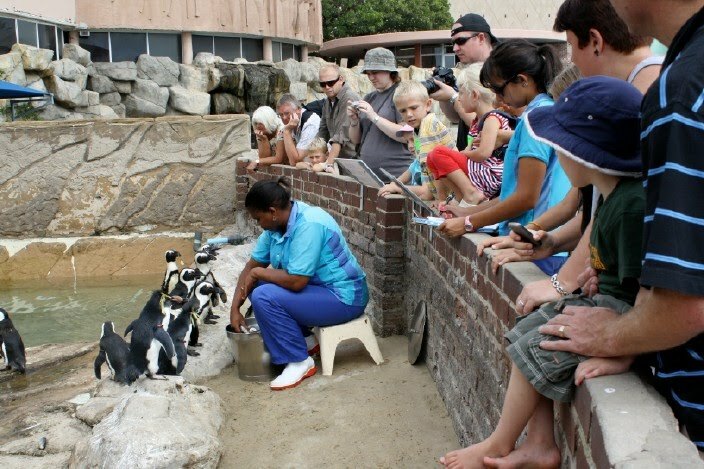 Bayworld series #7: Following the seal and penguin presentation at the big pool (featured yesterday), everybody moves over to the penguin enclosure to see the feeding of the penguins. They all came running when the trainers entered the enclosure. As the trainer was feeding she marked on a chart who has had and in this way nobody gets passed over. After feeding she told them to go for a swim and wash themselves and all the penguins headed straight for the pool. Bayworld series #6: Twice daily the Oceanarium at Bayworld has a seal and penguin presentation during which these fascinating animals are explained. This presentation usually preceded the dolphin performance before they were moved to Ocean Park in Hong Kong. Bayworld series #5: The predator tank at the Oceanarium features a number of fish which will make any fisherman's mouth water. It also has to fully grown Raggies (Ragged Tooth Sharks) and the turtle in the photo which has been at the facility for 35 years. 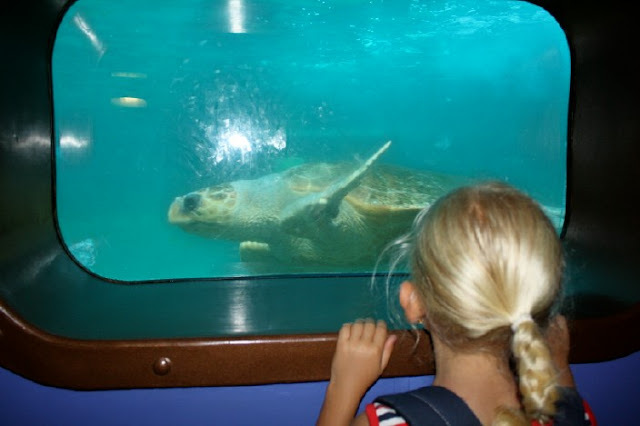 Drama Princess was fascinated with the turtle and jumped up to see through the portals every time it swam by. 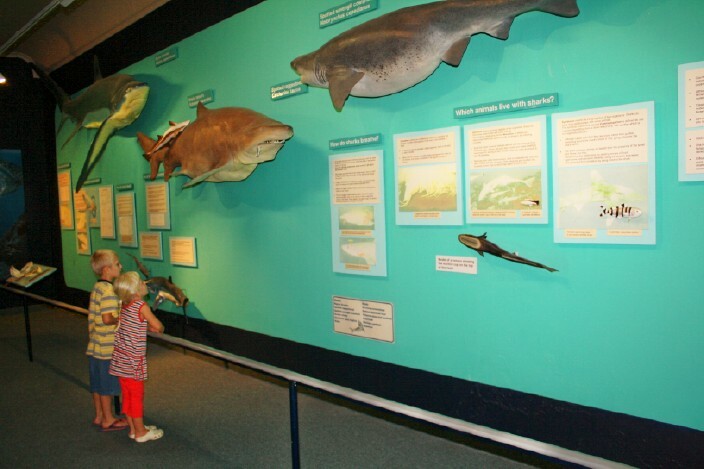 Bayworld series #4: Another part of the exhibit in the Marine Hall is the shark exhibit which features sharks found on our coastline. The brown shark in the middle is the Ragged Tooth Shark which is very common out at Cape Recife along the reefs. Bayworld series #3: The Marine Hall is another of the Bayworld favorites. 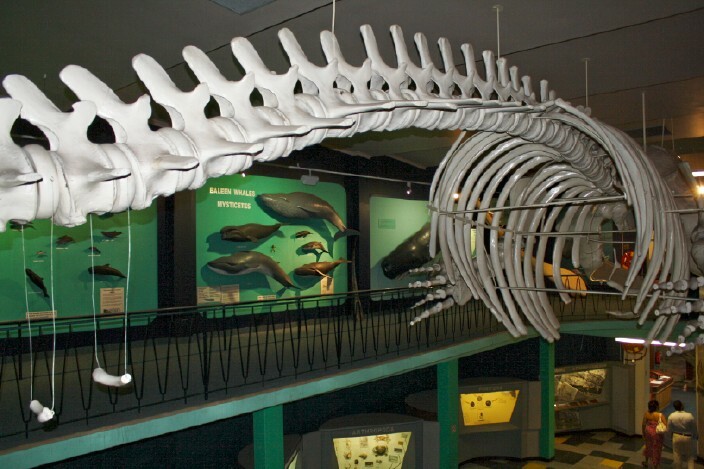 Upstairs hangs the skeleton of the last Southern Right Whale to be hunted in Algoa Bay. Bayworld series #2: From the Dinosaur Hall you enter the Shipwreck Hall. I have to say this must be my favorite exhibit. 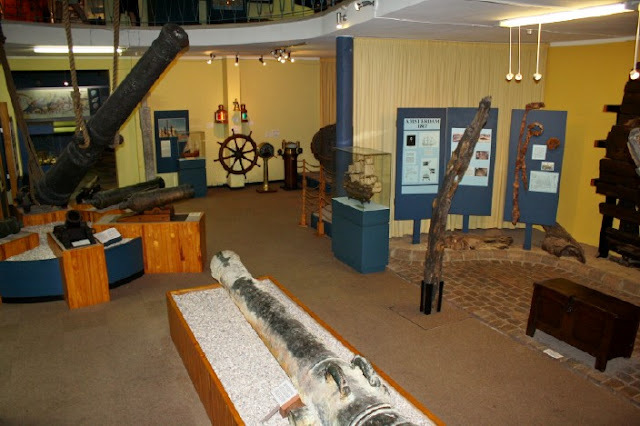 Bayworld houses artifacts from some of Port Elizabeth's best known historic shipwrecks which include the Sacramento, the Dodington and the newest part of the exhibit, the Amsterdam. Bayworld consist of the Port Elizabeth Museum, Oceanarium and Snake Park. Since the departure of the dolphins for Hong Kong the number of visitors to the complex has decreased. Insufficient funding from the provincial government under who's control the complex falls have also meant that parts of Bayworld is in desperate need of an upgrade. But for all its problems, Bayworld is still an excellent value for money attraction and well worth a visit. I decided to do my bit to promote Bayworld by doing a series on the complex and to show some of the different exhibits and attractions it has to offer. Bayworld series #1: Bayworld's Dinosaur Hall boasts a life size recreation of the Algoasaurus who's fossilised bones were found close to Port Elizabeth.